2019 Open Enrollment Period Is Only 45 days This Year ! BOOK AN ONLINE APPOINTMENT DURING OPEN ENROLLMENT ! Who should buy a health plan ON the Marketplace? Consumers who have low enough income to qualify for financial assistance, and for those with pre-existing health conditions. If so, you MUST buy your health insurance plan “ON the Marketplace” in order to receive financial assistance (called advanced premium tax credits (APTC). This financial assistance or APTC can lower your monthly health insurance premiums. Am I eligible for APTC? APTC is determined by your Modified Adjusted Gross Income (MAGI), your household size, and how that relates to the Federal Poverty Level (FPL) guidelines. In Arizona, if you’re between 138% – 400% FPL, then you may be eligible for APTC. If below 138%, then you may be eligible for AHCCCS / Arizona Medicaid. If above 400% FPL, then you are NOT eligible for APTC. Am I eligible for lower deductible plans? In addition to APTC, if a consumer is between 138% and 250% of FPL, you’re also eligible to buy a Cost Sharing Reduction (CSR) plan with reduced deductibles and out of pocket maximums, but only if you buy a Silver plan. Am I eligible for Advanced Premium Tax Credits (APTC) ? First, you must not have access or coverage through other entities like you or your spouse’s employer group plan, Medicare, Medicaid, or the VA. Basically, you must be in a position that you need to buy your own health insurance. Examples include: The self employed, pre-retirees, employees of small companies who don’t offer group insurance, small business owners, and the unemployed. Second, your income must be above 138% FPL and below 400% FPL in Arizona. Below 138% and you’re eligible for Medicaid. Above 400%, and you’re income is too high for APTC eligibility. Third, other factors including your age(s), household size, county of residence, and the premium of the Second Lowest Cost Silver Plan (SLCSP). This SLCSP is the baseline for which all tax credits are calculated. You can quickly see if you’re eligible using our web broker link. How much APTC can I receive to reduce my premiums? All tax credits that you receive in advance are subject to a “clawback” at the end of the year when you reconcile and file your taxes. If your income is higher than you initially projected, you could be subject to paying back some or ALL of that tax credit. Be very careful not to go over 400% FPL, as there is no maximum on the amount that can be “clawed” back. If income comes in lower than you projected, you may be eligible for an additional refund of APTC. Some people request for a lower amount of tax credits “advanced” than initially awarded; and instead pay a higher monthly premium with the hopes of getting the tax credit back in the form of a refund when they reconcile and file their taxes. What is a Cost Sharing Reduction (CSR) Silver Plan? Many consumers still don’t realize the incredible benefits afforded to those with income under 250% Federal Poverty Level (FPL). In addition to receiving tax credits to lower the premium each month, you may also be eligible for a “free upgrade” to a Platinum or Gold plan and experience much lower deductibles, copays and out of pocket maximums. BUT, you must buy a Silver Plan that typically represents a 70% actuarial value (AV). (Gold is 80% and Platinum is 90%) The best possible plan that anyone can buy is the 94% AV CSR Plan (Cost Sharing Reduction). In Arizona, it’s a thin range to qualify for this plan as your FPL must be between 138% and 150% (due to AZ expanding medicaid for under 138% FPL). If you are within that range, then you are eligible for the richest upgrade to a 94% AV CSR Platinum Plan. I’ve seen out of pocket maximums on these plans as low as $500 to $1000 a year. These are the richest benefit plans I have sold in my entire 10+ year career, and great prices when factoring in the subsidy / tax credit. If you are between 150% and 200% of FPL, then you receive the second best upgrade to a 87% AV CSR plan, which is between a Gold and a Platinum AV Plan. This is still an incredible plan at Silver Plan subsidized prices. Out of pocket maximums that I’ve seen are between $1100 and $2500 a year. Lastly, if you are between 200% – 250% FPL, then you qualify for the 73% AV CSR plan. Since the increase is just 3% above the typical 70% Silver Plan, this CSR plan does not make a large impact on plan benefits. As always, it’s best to call me for the best advice, as everyone is in a different situation. 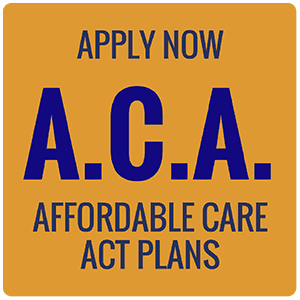 What is the easiest way to apply for an ACA subsidized plan? Can I apply online myself without any assistance? Yes, but why make it harder on yourself? As a health agent, I have access to the easiest application methods, tax credit calculators, software to match your doctors to the networks, and special agent portals with client status updates to track the progress . What does the entire process look like? 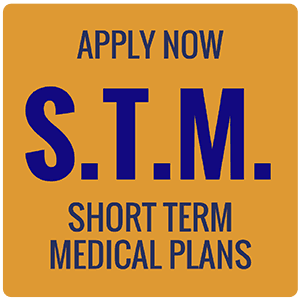 Your Application – The method of enrollment you choose will determine the length of time it takes to complete. The size of your family will also be a big determinant. Using a Web Based approved broker to apply for an ACA plan speeds up this 1st step dramatically. Documents Required – Many consumers get approved for a plan, but are required to send in proof of projected income, and/or citizenship documents. You have typically 30- 90 days to send this in to the government before your financial assistance is taken away, or the policy is terminated. Carrier Connection – Sometimes, the biggest problem has been related to the file transfer from the government to the insurance carrier. While that has diminished, some carriers are delayed in getting out bills and medical cards in the mail. Just be on top of things. Why should you use an independent Arizona Health Agent? Shopping for Arizona Health Insurance is a difficult task in itself when comparing premiums, deductibles, copays, networks and drug lists. But when you combine it with a very complicated Affordable Care Act law (ACA), involving complex income calculations and the tax code; it becomes overwhelming for many. An independent Arizona Health Agent works with many or all of the government and state approved health insurance carriers. In addition, health agents have access to the easiest application methods, tax credit calculators, software to match your doctors to the networks, and special agent portals with client status updates. 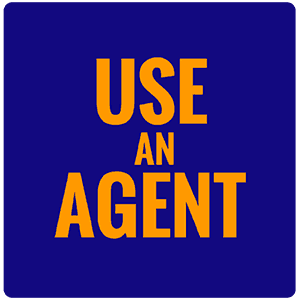 What are the BEST reasons to use an agent? Health insurance is what I do all day. I specialize in it, and have for 10+ years. I’m licensed, insured, and been an avid student of the ACA health care law since it passed in 2010. My clients get my advice and year round responsive service all year long. I assist clients with navigating a complicated and not so user friendly government website, and assist with any follow up documentation that might be required by them. I have an incentive that your policies never lapse, and practice best methods to avoid future headaches for both of us. I read a LOT, so you don’t have to. Whether it’s industry articles, carrier webinars, or the constant government updates…………I’m prepared for your questions. Believe me, there is a right way and a wrong way to buy health insurance in today’s complex market, and you only get one chance a year to do it right. The upcoming 2018 plan year OEP is November 1st, 2017 through December 15th, 2017. If you need a January 1st, 2018 effective date, you need to apply by December 15th. Consumers who have low enough income to qualify for financial assistance. If so, you MUST buy your health insurance plan “ON the Marketplace” in order to receive financial assistance (called advanced premium tax credits or APTC). This financial assistance or APTC can lower your monthly health insurance premiums. What health benefits must all ACA compliant health plans include? Guarantee Issue – no medical questions (except tobacco), and you cannot be declined. Maximum Out of Pocket Limits – adjusts each year, approximately $7350 per person in 2018. How much is the penalty for not owning ACA compliant health insurance? Starting in 2019, the ACA income penalty goes to 0%. To see if you are subject to the penalty, here is a link to an ACA penalty calculator. You may be exempt from the penalty if the lowest cost bronze plan on the marketplace is more than 8.05% of your 2018 income (8.16% in 2017). You can read more about it here: Affordability Exemption at Healthcare.gov. Who should consider combining a supplemental plan with an ACA policy? Supplemental plans (Gap plans) are used by consumers to “fill the gaps” of the high deductible ACA compliant plans. They are NOT to be used as a substitute, or instead of, a Major Medical ACA compliant health plan. Examples include accident, heart/cancer/stroke or dental plans. You can find a list of my recommended gap plans and links on the supplemental plans page. How do I apply for Arizona Medicaid / AHCCCS? If your income for your household is below 138% of FPL, then you may be eligible for Medicaid / AHCCCS in Arizona under the Medicaid expansion completed in 2014 under the ACA. There are many other reasons or qualifying events that may allow your eligibility. Check for details and apply anytime during the year at Healthcare.gov or directly from the Health E Arizona Plus website. William graduated with a B.S. in Business Administration & Finance from California State University of Northridge (CSUN) in 1992. 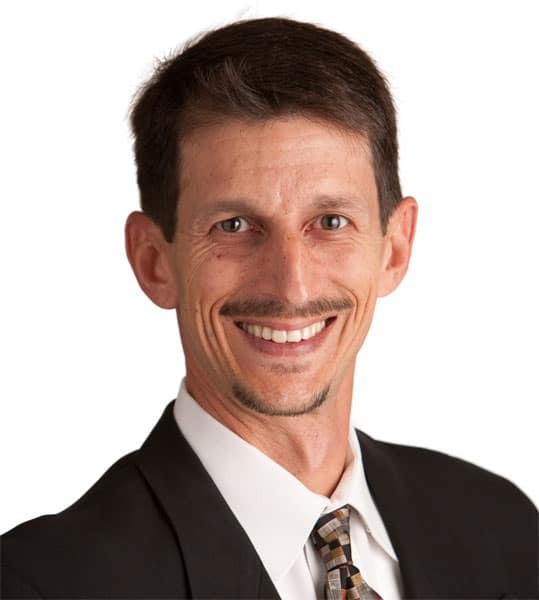 After working at Invesco Funds in various capacities for 7 years, and distributing Janus Funds through Financial Advisors for 5 years; Steffen Financial Inc was launched in 2004. I found my niche in private health insurance and Health Savings Accounts (HSA’s), and allowed my security licenses to expire. The massive health care reform law (ACA/”Obamacare”) was passed in 2010, and I found a new purpose for my career. The launch of ArizonaHealthAgent.com coincides with the inevitable trend of consumers seeking out the professional advice of a licensed career agent, given the complicated nature of the ACA law. The website name conveys exactly what I do for a living….. when you hear it, read it, or see it. My clients can remember it, and it’s easy to refer their family and friends. I enjoy being your Arizona Health Agent.